I’m always struggling to type notes quickly enough in meetings so the Bamboo Slate from Wacom has become my go-to writing pad now. 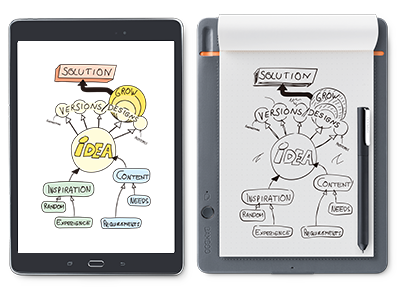 I can take handwritten notes with a pen on any type of paper and then store, shape and share them in the cloud. With the push of a button, my notes are converted into digital files and you can organize, edit and share them on iOS or Android Bluetooth enabled devices.